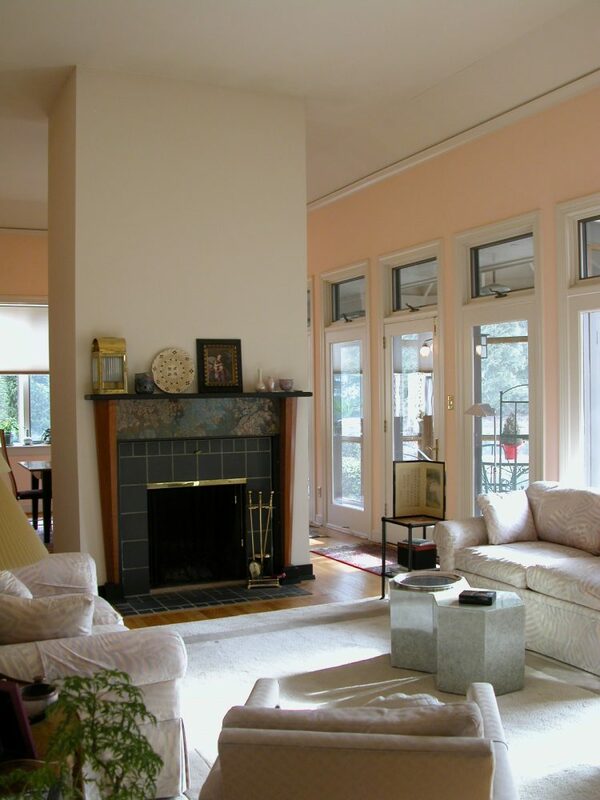 This project involved renovating a freestanding fireplace. This project was the result of a collaboration with Washington DC artist, sculptor Frederick L. Wall. It involved renovating this freestanding fireplace using ordinary materials in extraordinary ways in order to highlight the hearth and its role as both joiner and separator between the living and dining rooms. 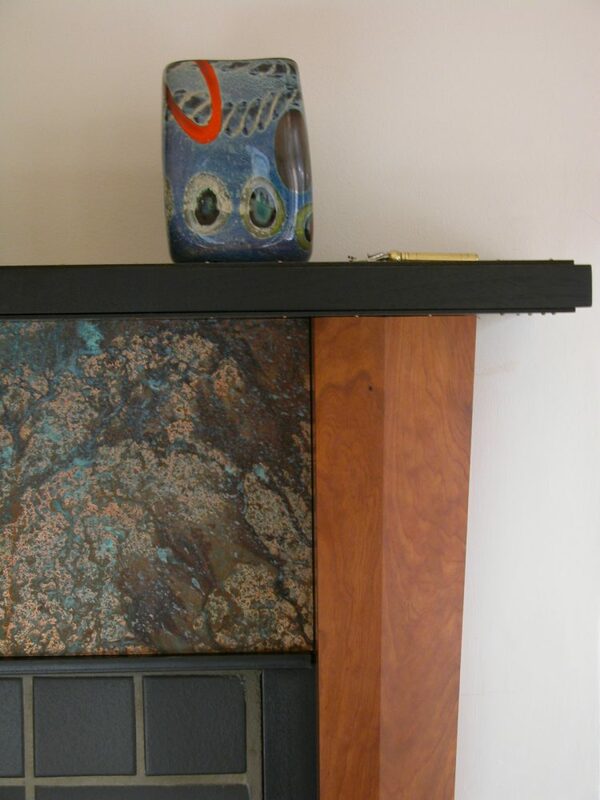 The fireplace and the tall niche are framed with cherry columns that taper downward. The mantel is a walnut and steel “sandwich” while the niche on the opposing side is filled with glass shelves over a blackened steel panel. 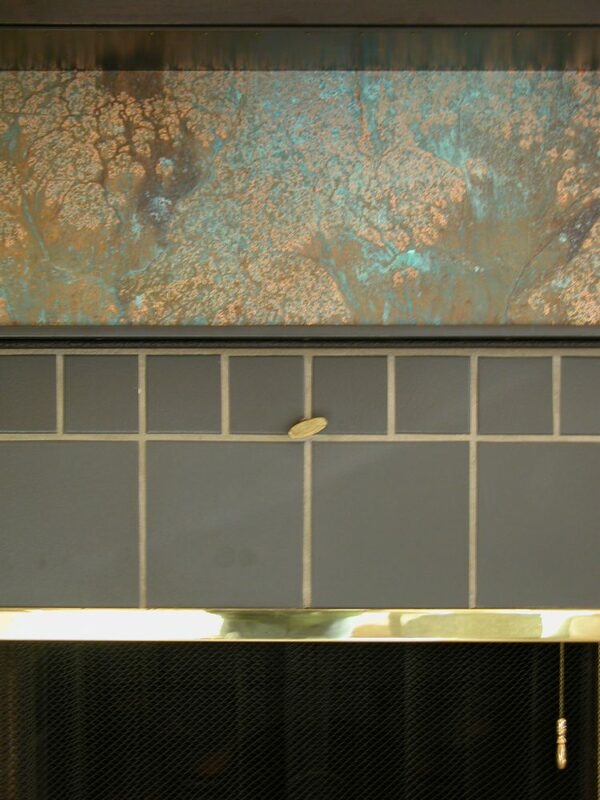 Behind the glass niche shelves is a panel of plywood covered with diamond- shaped “tiles” of copper foil, the same composition of materials which forms the mantel panel over the fireplace. The foil is chemically treated to produce varying hues seen in the photographs. 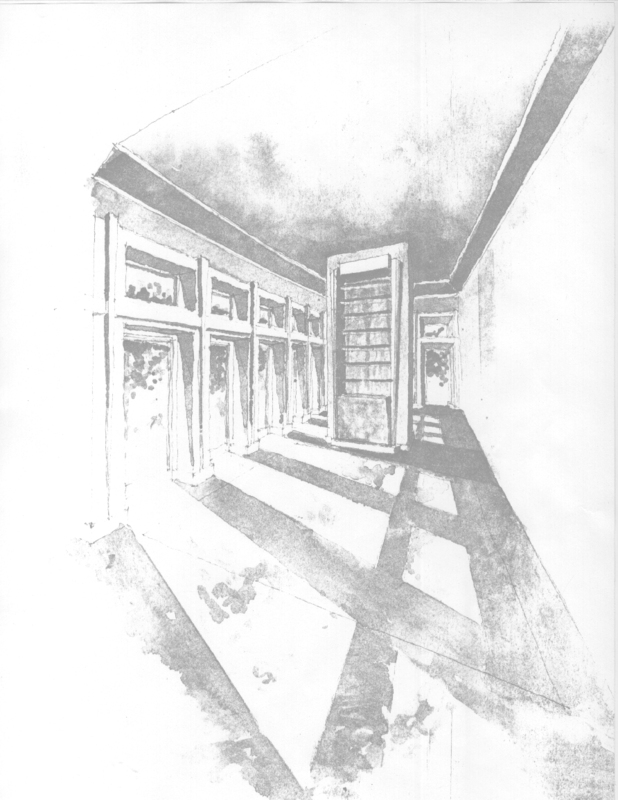 This project was the result of a collaboration with Washington DC artist, sculptor Frederick L. Wall. It involved renovating this freestanding fireplace using ordinary materials in extraordinary ways in order to highlight the hearth and its role as both joiner and separator between the living and dining rooms. 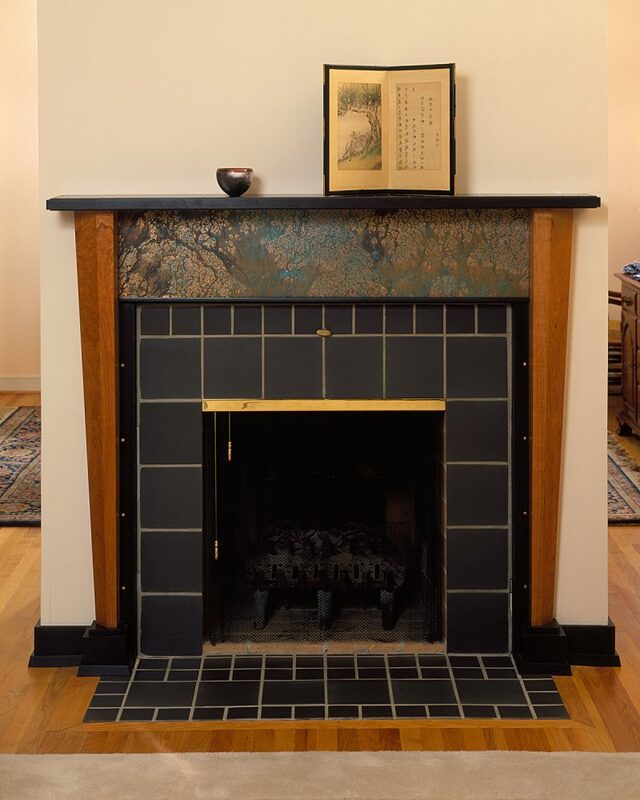 The fireplace and the tall niche are framed with cherry columns that taper downward. The mantel is a walnut and steel “sandwich” while the niche on the opposing side is filled with glass shelves over a blackened steel panel. 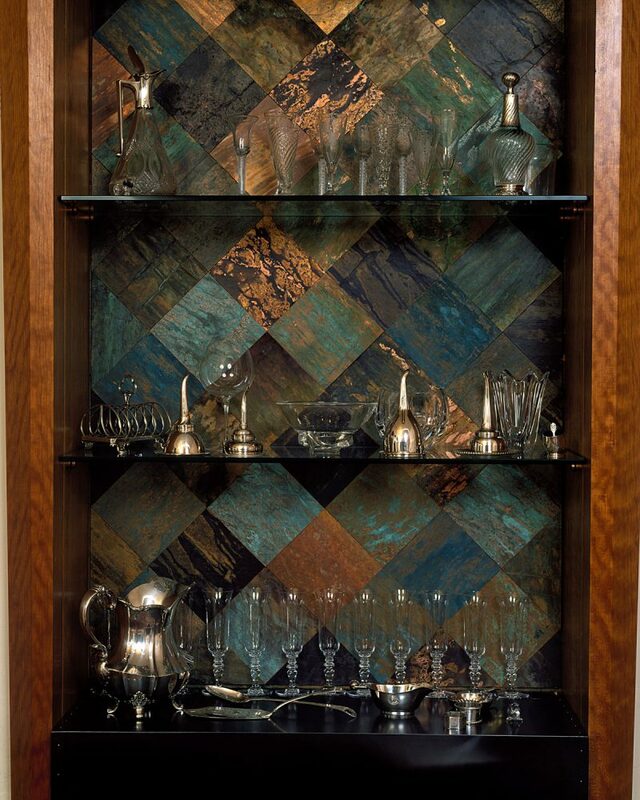 Behind the glass niche shelves is a panel of plywood covered with diamond- shaped “tiles” of copper foil, the same composition of materials which forms the mantel panel over the fireplace. The foil is chemically treated to produce varying hues seen in the photographs.